Sept 27th, 2012: Coming back to Ghana for our second year running the GOAL program with Standard Chartered was more successful than we ever could have imagined. The GOAL program uses a football-related curriculum highlighting the topics of Being Money Savvy, Being Healthy, Being Empowered, and Being Yourself. This past March we officially launched the program with Liverpool FC where we were able to work with both kids and Standard Chartered employees. This past week we were excited to start working with coaches throughout Accra. 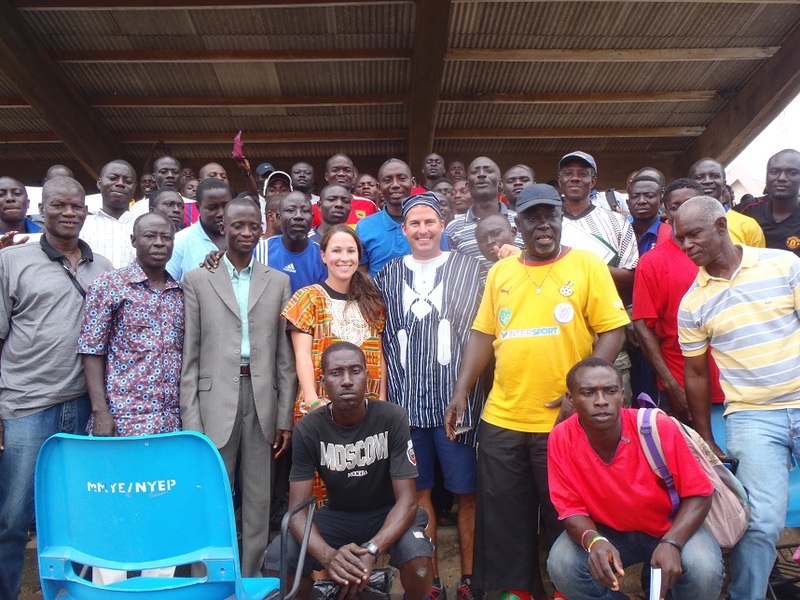 Walking up to the football pitch in Accra we were bewildered with the number of coaches our in-country partner Youth Icons were able to bring forward. 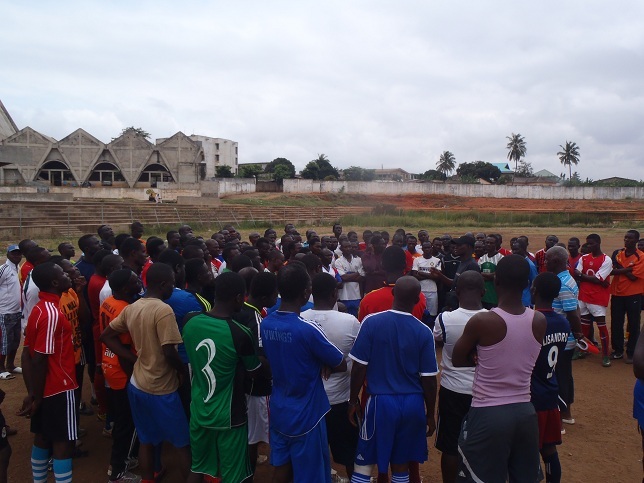 We had over 160 coaches that coached for the Ghana Football Association (GFA) from Greater Accra. These 160 coaches are able to reach over 15,000 kids. We were able to train this array of coaches, some who have only been coaching a few years to some who have had successful professional football careers. Many coaches that participated in the GOAL program coach up to three local youth boys and girls teams. 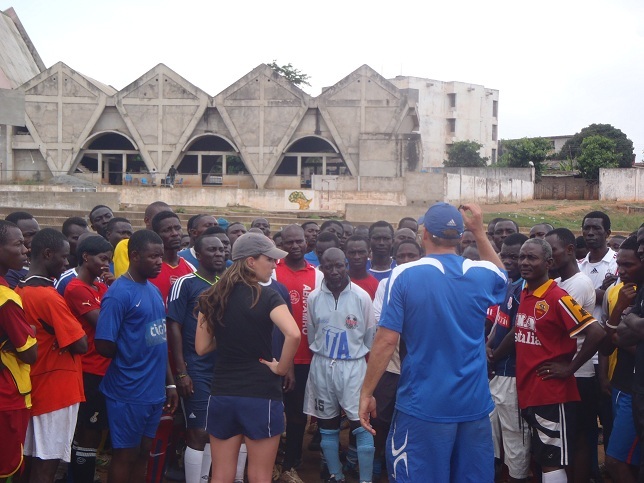 The GFA coaches were very keen to learn games that would help their football players grow as people off the pitch. Coaching for social development was a new concept for the majority of the coaches but they put everything they had into the training sessions. It was a new experience training ex-professionals football games for social development and having them take competitiveness to a new level. Thanks to the hard work by Youth Icons, Standard Chartered and GFA by the end of the week we were able to hand out 160 well-earned certificates and impact over 15,000 kids. Previous: Celebrating Peace on Peace One Day with our Partner Programs!